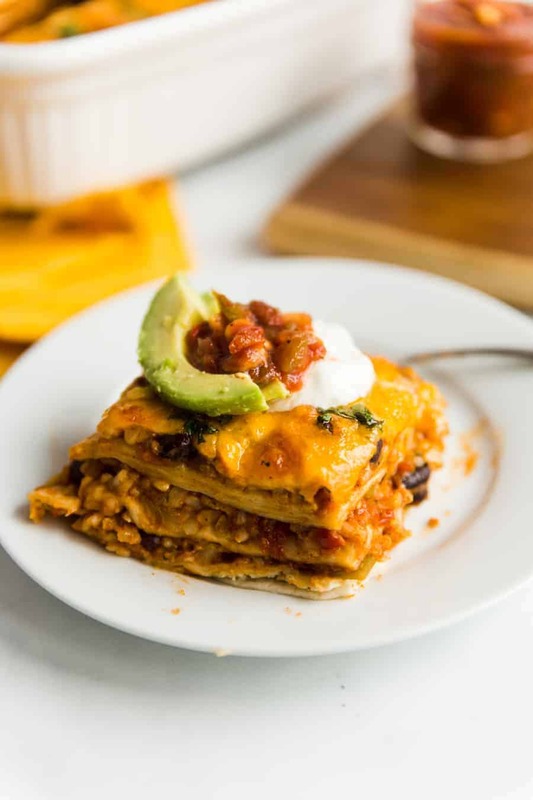 Imagine if enchiladas and lasagna had a baby. I know, it’s tough for the mind to wrap around such an inspiring concept, but that’s basically what this meal is! 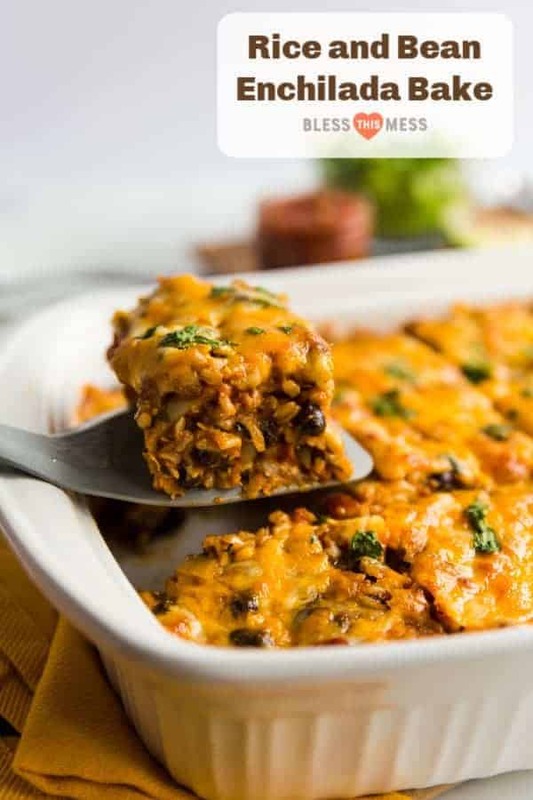 Rather than rolling the fillings inside tortillas, you layer the rice and beans between layers of tortillas to make more of a noodle-less, Tex-Mex lasagna bake. I always enjoy a creative flair on classic dishes, and this is one that never fails to fill bellies and make a whole table of even the pickiest eaters happy! 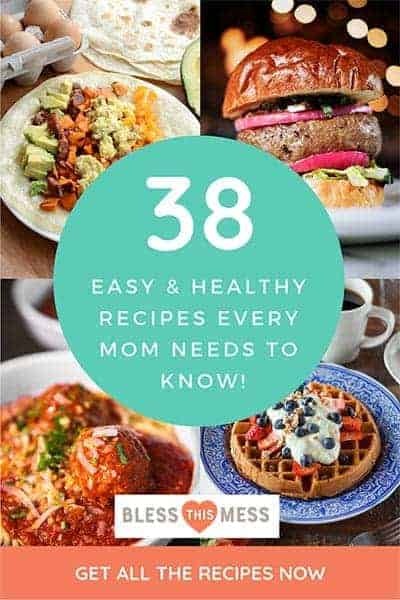 It’s simple enough for kids to love, but also packs the filling, balanced ingredients of beans, veggies, and carbs for energy and sustenance. And sometimes it’s nice to have a meal that doesn’t rely on meat for protein–if you’re a subscriber to “Meatless Mondays” or if you have vegetarians at home, you’ll definitely want to add this secret weapon to your weeknight roster. It’s uber-fast, and even more delicious! 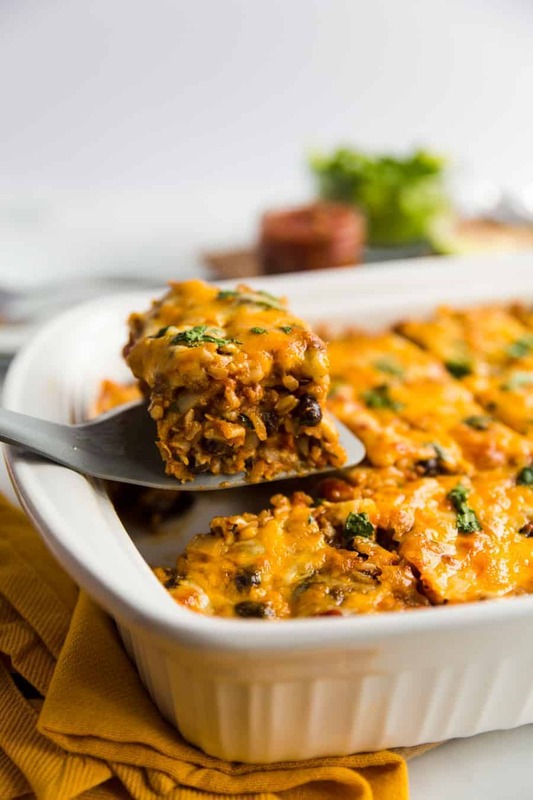 What should you serve with Cilantro Rice and Bean Bake? 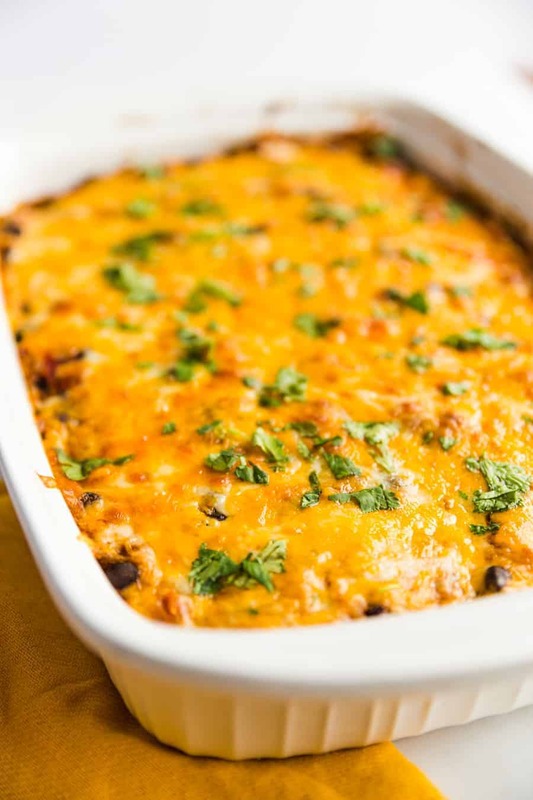 Treat this like any other Tex-Mex dish you’d serve at home! On the bake itself, you can’t go wrong adding freshly chopped lettuce and tomatoes, or a spoonful of salsa and sour cream. Because beans and rice are inside the dish, you’ll probably want to avoid those for sides. A fresh corn salad, chips and guac, or steamed veggies topped with my festive nacho cheese sauce are great options on the side! Can you make this dish vegan? This bake can easily be made vegan if you or someone in your home doesn’t eat any animal products. Simply skip the cheese, and double-check that your tortillas and enchilada sauce are vegan, too! Can you freeze Cilantro Rice and Bean Bake? This is a perfect meal to make ahead of time for a gathering or freeze the leftovers! To make ahead, cover the dish tightly with a lid or plastic wrap and refrigerate or freeze. To make, remove the wrap or lid, and bake for 25 to 35 minutes if refrigerated, or 45 to 55 minutes if frozen. After it’s been cooked, you can keep leftovers in the freezer for up to 3 months. The sauce concoction relies on a variety of flavors–make sure you test yours before you start layering the bake! It’s best to try to cover the entire top of the bake evenly with cheese–don’t forget corners and edges. 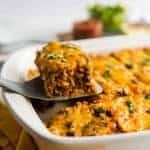 If you’d like to make more traditional-style enchiladas, you’ll only need to add a third of the enchilada sauce to the rice and bean mixture. Spoon some of the mixture into a tortilla before rolling it up and placing it into your baking dish. Fill and roll all the tortillas, and cover them with the remaining enchilada sauce and cheese. 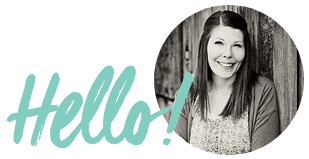 This version looks prettier when serving, but it does take some more time! Comforting, hearty, and simple to make. This is a recipe that you are going to make once and then feel inclined to recreate time and time again. This post was originally published in 2010 and has been updated and rephotographed in April 2019. This sounds amazing! I will be trying this recipe this week. I have to tell you something funny…when my dad was here over the weekend, he saw we had some cilantro growing outside. He wanted to taste some. He did not like it!!! He kept saying that he needed something to get the taste out of his mouth. I told him cilantro is better IN food that all by itself. I noticed that you have several recipes where you use cilantro in them. Some time you should make him something with cilantro in it, so he can really enjoy it. Maybe we’ll have to do a meal with cilantro in it all together when we come in July. Maybe we’ll have to make John and Ranelle a whole Cafe Rio meal. I doubt that they’ve ever been there before.